Atom bank is a challenger bank that offers all its products and services exclusively through its app. My day-to-day work here was as a user experience designer, working both on improvements for the existing app and flows for new products. Due to Atom already having an established app and brand, the design team’s work was focused on iterating existing user journeys and research, along with research and development for a future app redesign. PLEASE NOTE: The majority of my work at Atom is unreleased so I can only show a small amount here. As part of the ongoing process of iteration of the current app, I would conduct regular user testing. Mostly this was through UserZoom, which allowed me to send prototype builds of user flows to groups of real users, track their progress and outcomes, and capture opinions through survey questions. The team would also personally test all new builds of the app for bugs, which would be tracked and actioned via JIRA. Prototypes of new or tweaked user journeys were built in Adobe XD, which allowed me to quickly have working models of sections of the app that I could then push to a testing audience, or to internal stakeholders as an on-device proof of concept. One of my highest priorities during my time at Atom was promoting and raising awareness internally for accessibility issues. 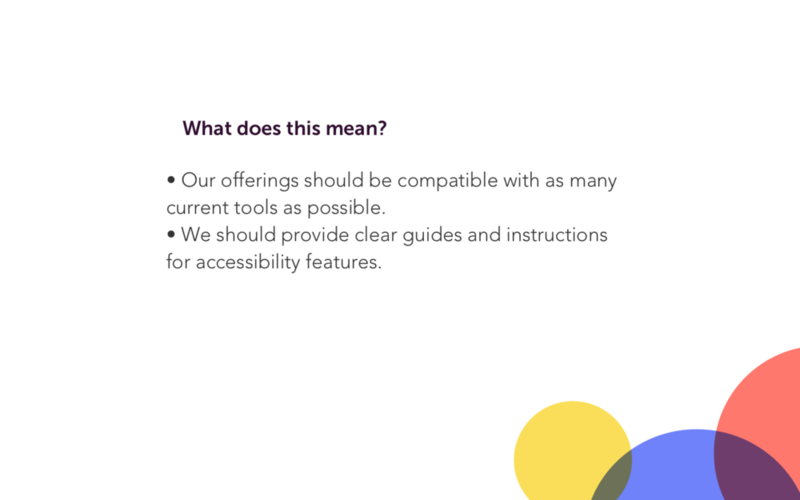 This led to establishing a set of accessibility principles against which we would measure our work, including all our customer communications, marketing across the app and the website. I then conducted an accessibility review of the existing app, identifying all the areas we could improve and suggesting next steps and long term goals. Later I did the same for the website, and also more specific investigation such as how the company can be more inclusive to more people, for example in the way we ask for and use information such as names, titles and gender.